© Bay East ©2019. CCAR ©2019. bridgeMLS ©2019. Information Deemed Reliable But Not Guaranteed. 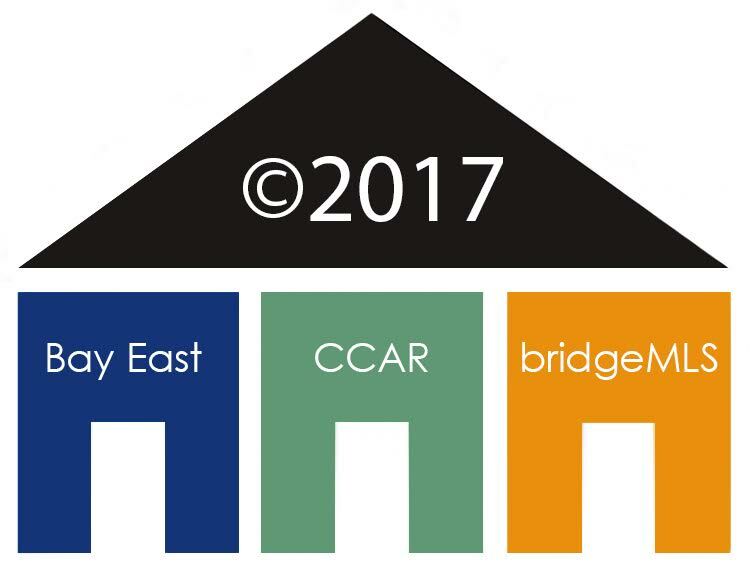 This information is being provided by the Bay East MLS, or CCAR MLS, or bridgeMLS. The listings presented here may or may not be listed by the Broker/Agent operating this website. This information is intended for the personal use of consumers and may not be used for any purpose other than to identify prospective properties consumers may be interested in purchasing. Data last updated at 4/21/2019 9:56 PM CST. Displays of minimum information (e.g. a one-line or thumbnail search result, text messages, “tweets”, etc. of two hundred (200) characters or less) are exempt from this requirement but only when linked directly to a display that includes the required disclosure. Audio delivery of listing content is exempt from this disclosure requirement only when all required disclosures are subsequently delivered electronically to the registered consumer performing the property search or linked to through the device’s application. © 2019 BEAR, CCAR, bridgeMLS. This information is deemed reliable but not verified or guaranteed. This information is being provided by the Bay East MLS or Contra Costa MLS or bridgeMLS. The listings presented here may or may not be listed by the Broker/Agent operating this website. Date and time last updated: 4/21/2019 9:56 PM CST Website provided by: HBN Media/Commissions Inc.